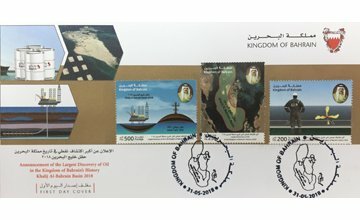 New postage stamps were issued by Bahrain Post to commemorate the epoch-making largest light oil reservoir discovered in the prosperous era of His Majesty King Hamad bin Isa Al Khalifa. Khaleej Al Bahrain Oil Reservoir, the biggest oilfield in the Kingdom’s history was the fruition of the directives of HM the King to intensify oil and gas exploration. On this occasion, the Ministry of Transportation and Telecommunication (MTT)’s Post Department issued three stamps, a souvenir card and envelope in an ensemble of designs to illustrate this dear occasion in the Kingdom’s history. 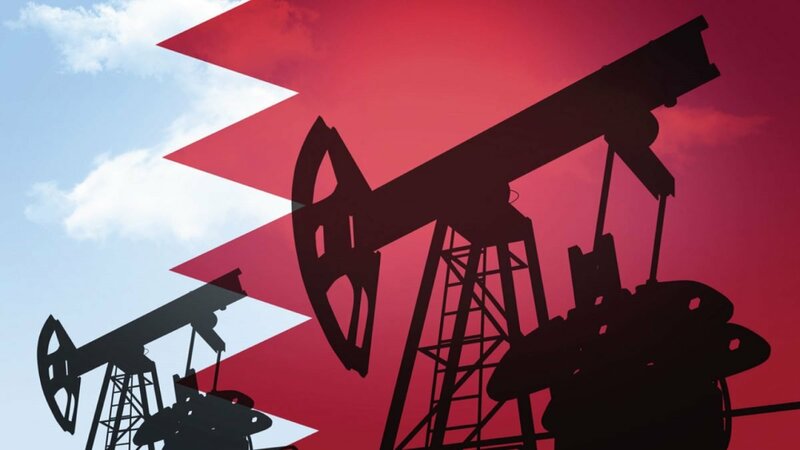 The new oil production is anticipated to boost Bahrain’s competitiveness and capacity to achieve its sustainable development goals, initiatives and projects.